Sign up for Broadjam today to follow Soulhuman7, and be notified when they upload new stuff or update their news! 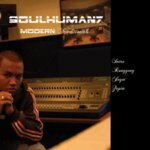 Modern Traditionals presents Native Tongue Records debut release for prolific traditionalist beatmaker Gurindrum (Soulhuman7 Malay alter-ego), unleashing a potent dose of hip-hop aesthetics paired with traditional Malay musical styles such as Zapin, Inang and Ronggeng. Sampling everything from Malay music’s vast catalogue as the single’s primary soundbank, Gurindrum incorporates the various Malay musical instruments such as Gendang, Kompang, Angklung, and Gamelan seamlessly fusing them with the thumping kick and snare of the hip-hop beat creating a natural union of traditional music elements and modern rap Sonics. “The pairing is almost natural as both music shares the common foundation of a 4/4 beat structure with the percussion underlining of drums. It’s inevitable that these two forms will be combined in perfect tandem.” This concept album was conjured from Gurindrum’s insistence to showcase update and breathe new life to the fading Malay musical artform, reinterpreting it in modern context for the MTV generation hooked on rap. The original melodics of Zapin, Inang and Ronggeng styles remains the essence of the instrumentals which could still serve as natural backdrops for various Malay dance styles and ceremonies yet won’t sound awkward or lost in the hip-hop clubs and would be harmoniously perfect when paired with vocal raps. From the intensity of hard hitting Ronggeng to the head bopping drums of Joget, Malay Traditionals presents a refreshed form of traditional Malay music perfect for the mainstream radio world.